You are here: Home / Podcast / Pirates Take Over Our Podcast! Pirates Take Over Our Podcast! Ay, matey! Joey Fehrman, author of Pirates of Financial Freedom joins us in the basement dungeon to talk adventure, plunder and conscious spending. Financial literacy? Heck yeah! We’ll chat about tracking how much you spend on rum and cool hats, personal growth, and investing…among others. Better yet? 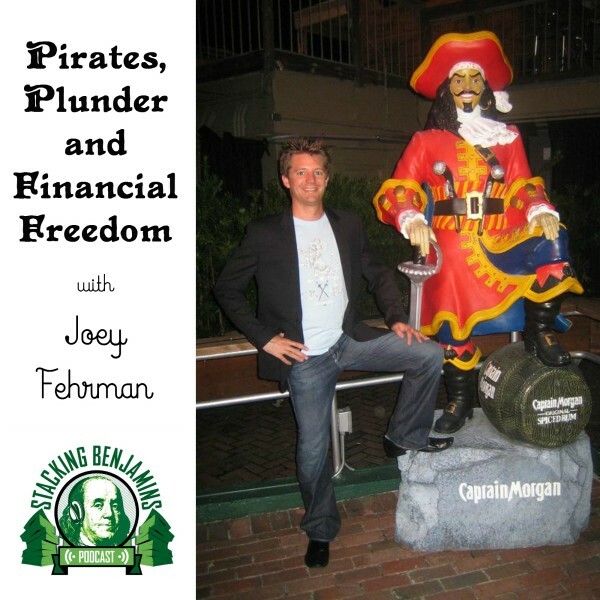 Joey has some rules of thumb he follows that helped him achieve financial freedom. What are they? You’ll have to listen to learn! Did I say that was all? I’m sure I didn’t! We have Suzanne Lucas, the Evil HR Lady with some horrible pirate humor AND a sexual harassment question. Joe & OG answer question about college planning AND tackle the “what’s the biggest fund” debate. Won’t that “biggest is better” thing ever die? College Planning questions from Kathy!